It's going to be a busy summer for those who love BBQ competitions. 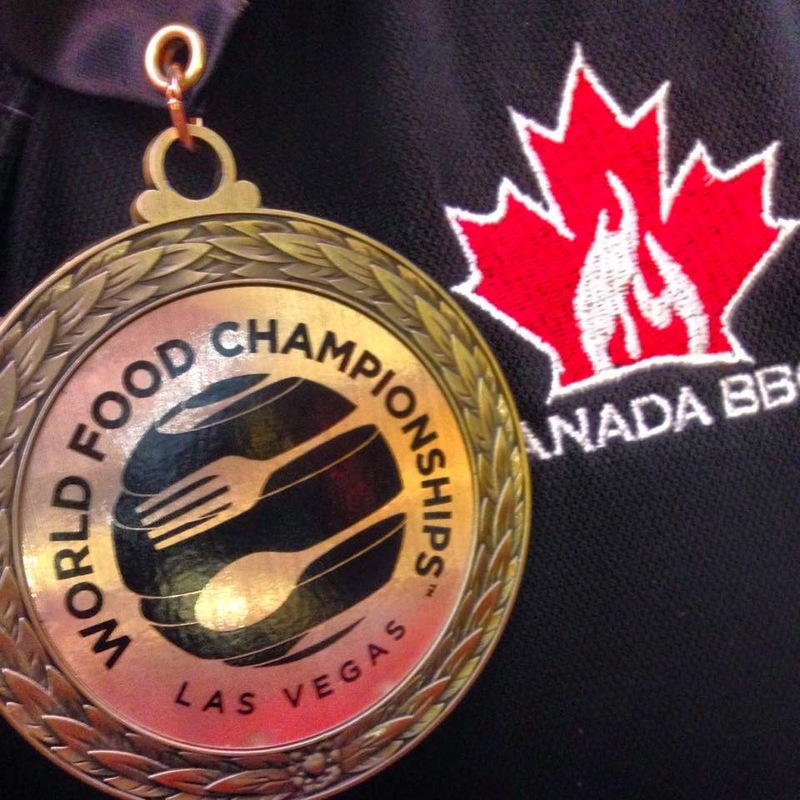 The Canadian Southern BBQ Association has confirmed that 3 events in Northern Ontario have received sanctioning. So this is what the summer looks like so far. Kapuskasing will host it's inaugural and as-yet un-named event on July 25th. This event will happen in conjuction with their Lumberjack Festival. The Lumberjack festival is one of the premier events in Canada and will be a fantastic fit for BBQ in Kap! Cochrane will host it's 3rd year event : Smoke on the Water. The event is held in conjunction with Summerfest every August. Team Canada BBQ will also be making the trek to Cochrane to provide goodies for those in attendance. This event will be held on August 8th. Timmins will be hosting it`s inaugural event on Sept 12th. It will be held in conjunction with the fall fair. You can get more info at all of these event at the website linked above or by getting in touch with me at heartofgoldbbq@gmail.com. Each of these competitions will also include a mystery box challenge where competitors receive a box of mystery ingredients and must feed a meal to 3 hungry judges. It's sort of like Chopped on the Food Network. It's fast paced and plenty of fun. Entry fee for each of the competitions will be 75$. It will include your meat (2 racks of ribs and 2 full chickens) for the BBQ component as well as the ingredients for the mystery box challenge. 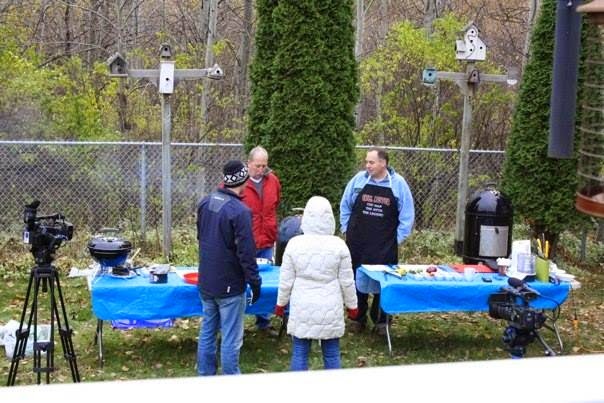 Beyond the prizes for best ribs and chicken, Eastview RV has come on board as a sponsor in the Eastview RV Northern Ontario BBQ Challenge Series. Highest scoring team at one of the 3 events will win a Traeger Lil Tex Elite smoker valued at 1000$. 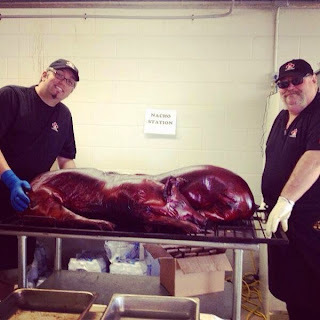 Keep your eyes peeled to this blog for information about all BBQ events in Northern Ontario. Also, join the Timmins and Area BBQ facebook page. For those of you who will not be competing but would rather judge, judging courses will be offered in all 3 communities before the event. You can show your interest by filling out this form. It`s going to be a busy summer. 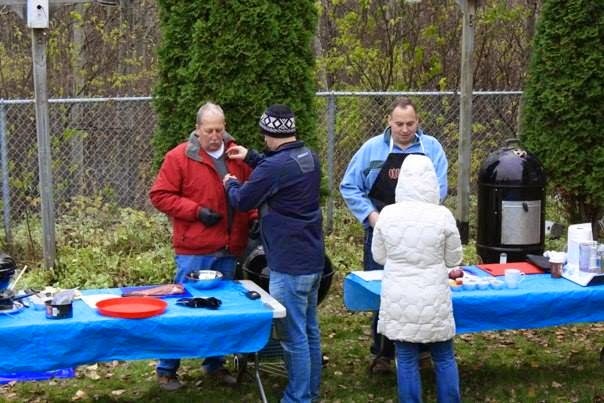 We already have 2 other communities in Northern Ontario who are really hoping to host BBQ competitions next summer as well. Who knows what next summer will bring? Bright and early this morning, a bunch of my friends from Team Canada BBQ left Southern Ontario for the 900 mile trek to Memphis, Tenessee in order to attend Memphis in May World Championship BBQ contest, one of the largest Professional BBQ competitions in the World. 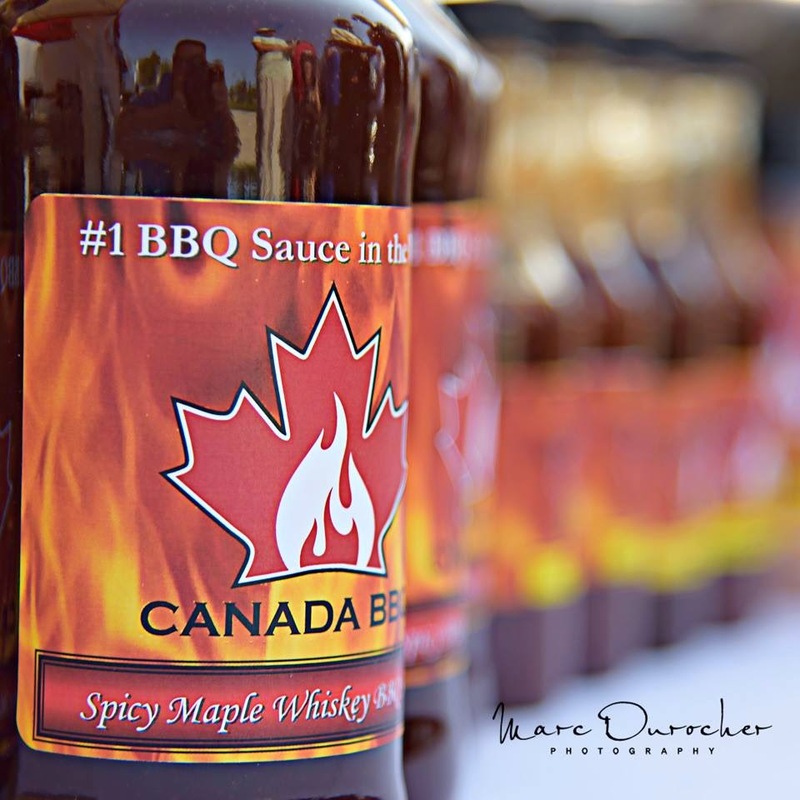 Team Canada BBQ is a federal not for profit corporation and is the official Canadian National BBQ Competition Team. That's right folks.... BBQ is a sport with a national team. 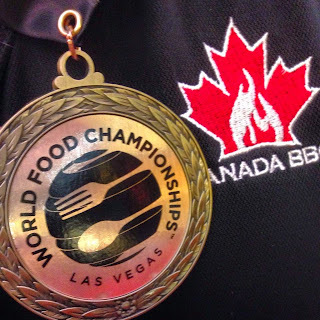 They travel all over North America and recently competed at the World Food Championships in Las Vegas Nevada and placed 1st in Recipe division. I wish my friends safe travels and best of luck in all their divisions this weekend. If you want to get a chance to taste Team Canada BBQ food, you're in luck. They will be attending Summerfest in Cochrane, Ontario on August 8-10th. They'll be serving up plenty of goodies. For more info on Team Canada BBQ, visit their Blog, Like their Facebook page or their Instagram account. I received a great bit of news late last week. 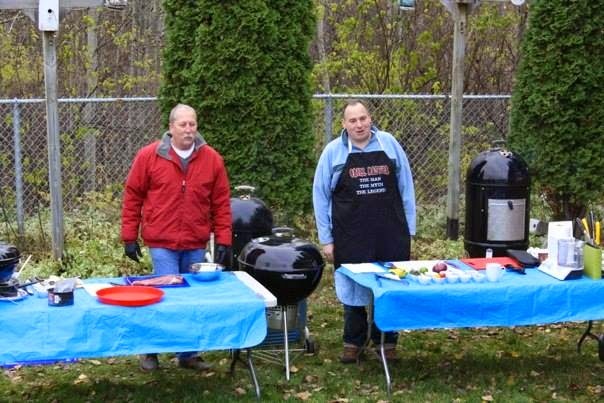 Last fall, myself and my BBQ buddy Bill Pudim, pitched a show to Eastlink TV. We wanted to bring grilling, smoking and BBQ to TV in a format that would be fitting to Northern Ontario. In the late fall, we shot a screen test. Here are a few pics of Bill and I with Neil White and Lydia Chubak from Eastlink. So it looks as though our show format will be filming at some point this summer. We've actually been throwing around ideas for the better part of a year. Current format will be a competition format with Bill and I competing to see who can make the better meal. Format may change somewhat between now and filming. I'll keep you up-to-date as things progress. What would you like to see us cook on this show? Hit me up in the comments below and give me some suggestions. Today is May 5th. Cinco de Mayo. Some people think it's Mexican Independance Day but that's actually in September. Cinco de Mayo is a day that commemorates the unlikely win of Mexican Forces over French troops during the Battle of Puebla in 1862. Either way, It's a good day to celebrate Mexican Cuisine. So here is my recipe for Carne Asada Grilled Beef Tacos. I like to use this marinade on a tough cut of meet like Flank Steak. The butcher at Foodland often has Bavette steak also known as sirloin flap in his meat counter and this recipe works particularly well with that cut. Marinate the steak for 2 hours and then grill on high heat for a few minutes per side (no more than medium as you don't want the steak to dry out. Serve on corn tortillas and garnish with pico de gallo, cilantro and pickled jalapeno's. When Andrea and I honeymooned at El Dorado Maroma in Mexico in 2010, each day at lunch, they would provide us with these infused waters. Everyday had a different infusion and it was always refreshing to start off the day with this fresh tasting beverage. In celebration of Cinco de Mayo today, I present to you my version of an infused water. This recipe is a bit of an oxymoron. As you drink it, you start by getting the nice sweet and tart flavours of the fruit, but after a few seconds, you get the slow burn of the jalapeño pepper that hits you in the back of the throat. It's quite an experience. Place all ingredients in the blender. Fill up blender with water right to the top and blend at high speed for 2-3 minutes. If you have two many ingredients for one blender, you can make it in two batches. It will be diluted a bit more but still be tasty. After blending, strain it through a fine mesh strainer into a serving jug. This will remove most of the pulp and seeds and leave you with the fine tasting fruity water to be served. This can be served on ice. You can add 1.25 ounces of white rum if you want to make it an adult drink. If you want to make it a bit more interesting, you can top it off with 2 ounces of club soda. This is a great refreshing drink to accompany any BBQ meal. Goes particularly well if you are serving tacos or grilled meat. Hope you enjoy. If you try it, let me know in the comments below. I follow a lot of BBQ related webpages, Facebook pages and Instagram pages. The past few days, I've been seeing a lot of posts that May, is National BBQ month. I don't know who the smart person is that chose May. It may apply South of the border, where the BBQ's and Smokers are accessible most of the year. Up in Northern Ontario, the last of the snow in my yard melted just yesterday. Either way, May is a good time to pull out your grill, give it a good cleaning head to toe, check out the burners and even use a shop vac to clean out the interior. Here is a good link to the Amazing Ribs website on proper care, maintenance and cleaning of your grill. Some people will tell you that they never clean the grates on their grills cause it just adds flavor. Don't believe them. All it does is add the taste of burnt food and carbon to whatever you're cooking. A well maintained grill should last you a really long time. In Northern Ontario, often it's the burners that will rust out early but most times these can be replaced fairly easily. So today is May 3rd... what will you be cooking on your grill this week? Post down below in the comments.